Bleach blonde hair is a perfect alternative to black if you like the emo style. It’s especially good if your hair is light to begin with because that means your hair will suffer less processing damage. 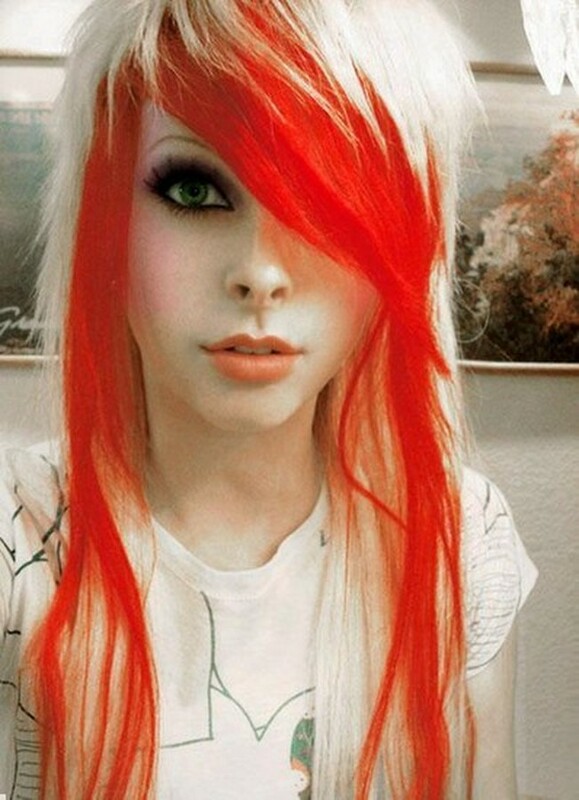 Add a vivid cherry red underneath the bangs and in the front sections of the hair for an awesome and really cute effect that’s sure to grab attention wherever you go.